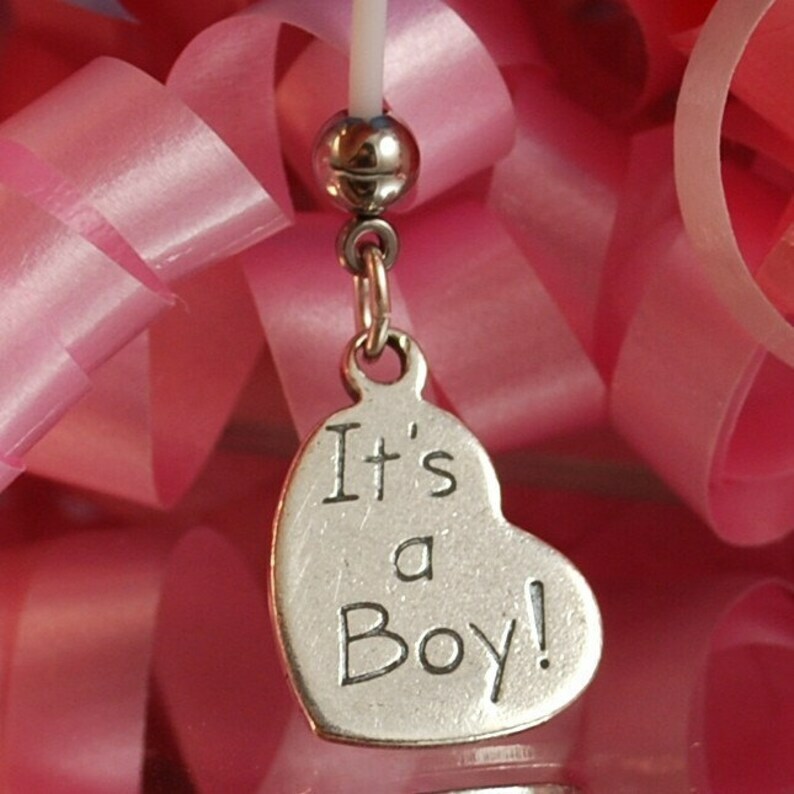 This maternity / pregnancy flexible belly button ring has a sterling silver ITS A BOY heart charm. The charm is 15mm x 20mm. 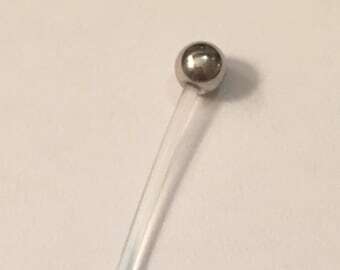 It is attached to a flexible and comfortable PTFE bar. It comes with a light blue gem ball on top. Instructions on how to shorten your Belly Charm are included with purchase.